As the White House talks tough on China, investors must analyze which tech firms will be hit the hardest and which will thrive. More importantly, are tariffs even the biggest risk of doing business in China? 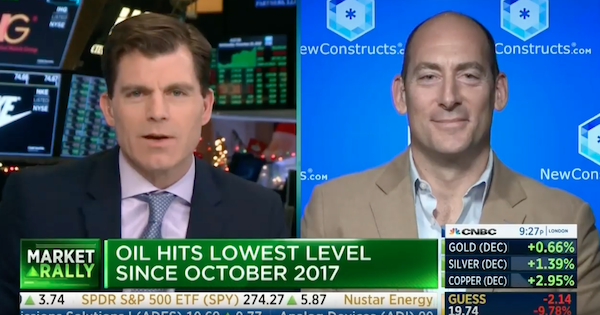 On Wednesday, November 28, New Constructs CEO, David Trainer, joined CNBC to discuss China tariffs and their impact on top technology firms. This article originally published on November 28, 2018. Disclosure: David Trainer and Kyle Guske II receive no compensation to write about any specific stock, sector, style, or theme.